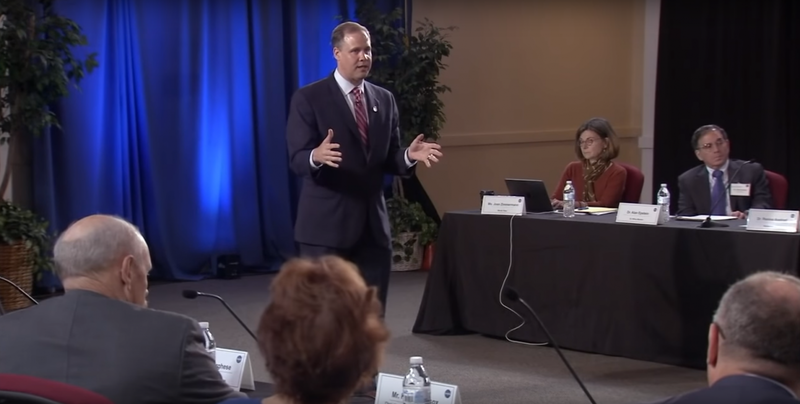 In the first-ever televised NASA Advisory Council meeting, NASA Administrator Jim Bridenstine described the United States’ latest effort to return to the Moon as one about sustainability. During the Aug. 29, 2018, meeting, Bridenstine talked about how President Donald Trump’s Space Policy Directive 1 is different from previous efforts to return the the Moon, which date back to the Space Exploration Initiative of the late 1980s and the Vision for Space Exploration in the 2000s, because it directs NASA to do it sustainably. The administrator, who was appointed by the Trump administration and confirmed by the U.S. Senate in April 2018, said NASA will be taking advantage of capabilities that didn’t exist during the previous deep space exploration pushes. Without mentioning specific companies, he said commercial and international partners are working on new ways to get to space with reusable rockets. 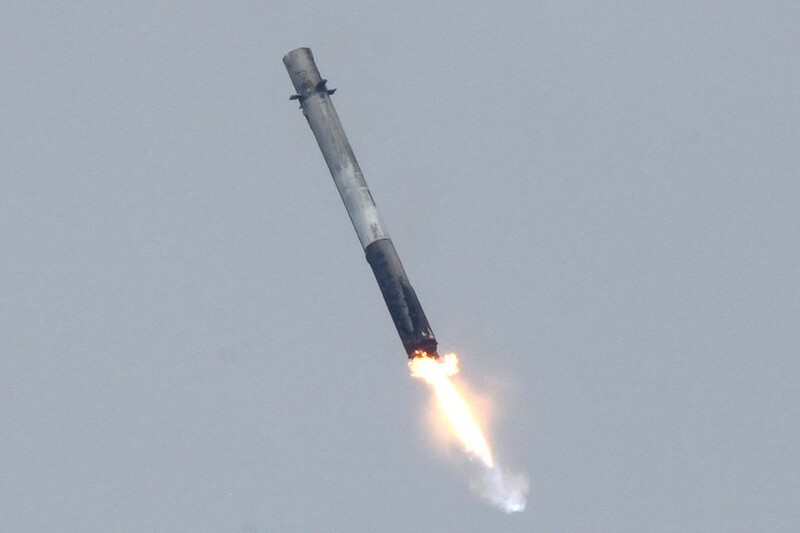 Currently SpaceX is the only company that is actively flying partially-reusable rockets with its Falcon 9 and Falcon Heavy. Blue Origin, a company founded by Amazon.com’s Jeff Bezos, is also working on a partially-reusable launch vehicle, New Glenn, which could see its first flight as early as 2020. Currently there are a number of companies working on robotic lunar landers of various sizes. Many are competing in a non-cash competition called the Lunar XPRIZE. It was formerly called the Google Lunar XPRIZE until it was determined in January 2018 that no team would make the March 2018 deadline. However, several companies are potentially within a year or two of performing their first flights. In May, NASA announced the Commercial Lunar Payload Services, which aims to partner with industry to develop Moon landing technologies to send robotic payloads to the lunar surface. Bridenstine said there is a piece of Space Policy Directive 1 that hasn’t been done before. Bridenstine said that from 1969 to 2008, it was thought that the Moon was “bone dry.” Then in 2008, India discovered, and NASA corroborated, that there “are hundreds of billions of tons” of water in the form of ice on the surface of the Moon, particularly at the poles. Bridenstine said NASA wants to prove out in-situ resource utilization using resources on the Moon to do more there than possible before. Also adding to the architecture, Bridenstine said the proposed lunar Gateway will play a big part in this push. However, he emphasized this outpost will be different from the Earth-orbiting International Space Station, both in size and complexity. “We’re putting a much smaller device in orbit around the Moon that’s going to have access by humans,” Bridenstine said. “It’s also going to be maneuverable. It’s going to have solar electric propulsion. It can not only stay in that near-rectilinear halo orbit where it can be for a very long period of time without burning any station-keeping fuel—in other words a sustainable long-term mission in that orbit. Bridenstine said that with solar electric propulsion, the Gateway can move to different areas, such as the L1 and L2 Earth-Moon Lagrange points—areas where the pull of Earth’s gravity effectively cancels out the pull from the Moon’s gravity. He said this would allow humans to have access to more parts of the Moon than ever before. The administrator was clear that it is currently unknown if there is an abundance of platinum group metals on the lunar surface, but said that rare Earth metals found in the ground on Earth aren’t actually from this planet, rather from asteroid impacts. Going along with the sustainability theme, Bridenstine said the entire architecture needs to be public and published so that if a commercial company or international partner wants to build their own hardware, it can be compatible with NASA’s. “We want to be able to do more than we’ve ever done before, so what we’re going to do is build this critical architecture on and around the Moon,” Bridenstine said. All of this, Bridenstine said, is about retiring risk. He said NASA wants these capabilities, such as proving in-situ resource utilization, to be replicated on Mars once they are proven near Earth. Bridenstine asked the NASA Advisory Council if they want astronauts to prove all of the required technology for a Mars mission on a seven-to-nine-month journey to the Red Planet where the next opportunity to come home could be up to two years, or if they want to retire all of the risk—technologically and with human physiology—on a world that is only three days from Earth. Ever since I was a little girl, I’ve loved NASA. NASA, and the rest of us, should call it the ‘Gateway Spaceship’ because that is what it is in many ways. Our future evolved, much larger, and more capable versions of the reusable Gateway Spaceship will also have similar highly propellant efficient 2,600 to 14,000+ Isp electric space propulsion systems that are far more cost effective than our current inefficient spaceships with chemical rocket engines that typically have a 350 to 465 Isp and burn enormous amounts of costly and energy weak propellants. Those future reusable Gateway Spaceships should be highly efficient in hauling cargo and people from the International Space Station in LEO to low orbits around the Moon, asteroids, Mars, Kuiper Belt Object Ultima Thule, or various moons across our huge Solar System. Until NASA requests proposals for a lunar lander this is just wishful thinking. Firstly, Mr. Bridenstine should be less partisan if he wants to stay on as Administrator beyond Trump’s first (and quite possibly only) term. Dan Goldin was nominated by Bush I and served during both of Clinton’s terms and got what he sought. Secondly, he should stop pandering to the established aerospace giants as the be-all-and-end-all for NASA human spaceflight. We are in danger of giving up a permanantly-crewed Low Earth Orbit space station for a temporarily-staffed Lunar Orbit roadhouse. All to justify Alabama’s Congressional and Senate lobbying of the shuttle-heritage ML, its rocket and capsule while ignoring SpaceX and Blue Origin. If our leaders are as smart as they claim they are, we shouldn’t be in danger of giving up our permanently-crewed Low Earth Orbit space station precisely because the efficiency and cost effectiveness of high 2,600 to 14,000+ Isp electric propulsion systems powering satellites and robotic and human crewed spaceships should enable and greatly increase the both the high delta-v and ‘home base’ usefulness of ISS based spacecraft. Those real and growing high delta-v capabilities of various satellites and spaceships with electric propulsion systems doing critical commercial and military high delta-v missions in LEO, GEO, orbiting the Moon, and across all of Cislunar Space and our need for a spacecraft repair and resupply home base in the relatively low radiation environment, or safe harbor, of LEO should contribute to many decades of needing and using the ISS. The International Space Station, and the orbital positions ahead of and behind it, will be useful for testing equipment and large modules, increasing the safety of commercial free-flying modules/spacecraft/space stations, doing diverse space experiments, training space crews, and stacking the large 100+ ton modules that will form the core of various future Lunar, asteroid, and Mars spaceships with cost effective electric propulsion systems. If we seriously want to make full commercial and military use of Lunar and asteroid resources and avoid doing “flags and footprints again” on Mars in pandering to narrow partisan and ever changing special interests, we need to keep and expand the International Space Station. Probably our international businesses and American Space Force military folks could instead just rent space or add lots of large modules and capabilities to some new space station. If our American politicians continue to fail in understanding the many excellent commercial opportunities, Lunar resources, international leadership benefits, and military options that are enabled with efficient and economical high Isp and high delta-v capable electric propulsion spacecraft based at an expanded International Space Station, perhaps India, Europe, Russia, Japan, or China might be able and willing to lead the world in space by launching and owning an ever growing and quite useful LEO international space station. Yikes! Some folks Inside the Beltway are trying to do some critical thinking about our future in space and the International Space Station! Yeah, I’m with you. Used to clip out and paste the Gemini and Apollo newspaper articles before, during and after each flight. NASA sent, upon request a huge packet of photos and info. I can still remember getting that package in the mail! 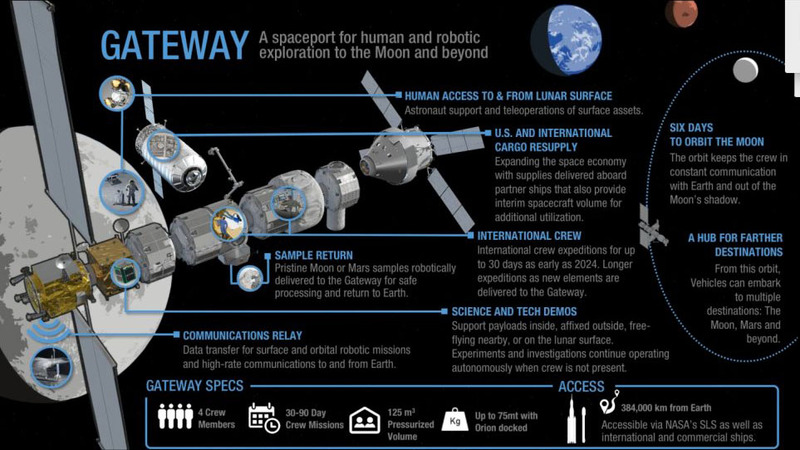 The Lunar Orbiting Platform-Gateway (LOG-G) is to my mind, an enormous boondoggle. It is simply another money pit for the ULA consortium. Totally unnecessary for return to Luna. The lunar surface is a hostile environment, but not nearly as hostile as the LOP-G w/r radiation exposure for the crews manning it. I’ve often wondered which group of geniuses within NASA came up with this abortion of an idea.